Fr Bill McCarthy was the College Chaplain at St Rita’s College, Clayfield from 2002 – 2014. His connection to our College started while he was Parish Priest for St Pius’ Parish at Banyo – at that time, the Deputy Principal at St Rita’s, Sue Bunkum, was a member of St Pius’ Parish and it was this connection that saw Fr Bill being invited to the College to celebrate Mass as the College Chaplain. Even though Fr Bill moved from Banyo to be Parish Priest at Indooroopilly Parish, his love of our community and the sense of belonging that he felt to St Rita’s saw him continue enthusiastically in his role as our College Chaplain. For the St Rita’s College community, Fr Bill was an example of our College motto “Actions not Words”. This was demonstrated in his courage in his acceptance of his various health issues but his refusal to allow these issues to dictate how he would live and work – there were many times when Fr Bill had been in hospital just days or weeks before one of our Eucharistic celebrations, when another person would have offered their apologies due to ill health, but not Fr Bill. The College pillar of Simplicity was another quality that Fr Bill demonstrated in all he did – from the easy to understand and meaningful messages he always gave in his homilies to his no-fuss needs, even in light of his mobility issues. Fr Bill was always considerate in tailoring his homily message to suit the theme of the Mass and this made his message particularly relevant to our staff, students and parents on the special occasions of our Eucharistic celebrations. Fr Bill’s simplicity was also evident in his constant reminders to the students of the importance of simply saying “thank you” to acknowledge the hard work and dedication of our staff at the end of our College Masses. Above all though, it was Fr Bill’s innate sense of joy, expressed in his humour and his warm and friendly nature, that will be remembered the most by the St Rita’s College community. From his ready smile, his cheery greetings and his genuine interest in others, Fr Bill truly demonstrated a love for each person and a wonderful sense of fun and happiness. When speaking of what he loved about St Rita’s, Fr Bill spoke enthusiastically and often about the girls – their potential and hope; the staff – their camaraderie and expertise; the community – its inclusiveness and energy. Fr Bill truly enjoyed presiding at our College Masses as they were the culmination of our experience as a Catholic faith community, celebrating and sharing our joy. As a community we have been blessed to have had Fr Bill as part of our lives for the past decade in his special role as our College Chaplain. For us, Fr Bill has been a wonderful example of a person who gave his life to God and ensured that God’s message of love was lived out by the way he treated all those to whom he ministered. We give thanks also for the gifts of friendship and care that Fr Bill’s sisters Libby and Kathlyn have shown to us through their tireless support of Fr Bill over many years. We give thanks for all Father Bill has been to the St Rita’s College community and we will pray for his family as they deal with their loss. On Tuesday 27 May 2014, the College hosted a ceremony to formalise the transition in our corporate sponsorship from the Presentation Sisters in Queensland to the new canonical entity, Mercy Partners. This sponsorship will ensure the College’s mission of educating young women in the Presentation tradition will continue on solid foundations. Speaking to those assembled about the hopes and aspirations of those involved in the transfer were: Sr Kathleen Tynan pbvm, Congregation Leader; Sr Anne Hetherington rsm, Chairperson of Mercy Partners; Mrs Joan Mackay, Chairperson of the College Board of Directors; and Mrs Dale Morrow, College Principal. The ceremony, which marked the conclusion of 88 years of the Sisters’ sponsorship of the College, included a ritual of blessing for each of the parties that bear responsibility for the future of the College: the Mercy Partners, the College Board of Directors, and Sr Kathleen, who takes on the role of Steward of Mercy Partners, representing the Presentation Congregation. Good evening Sr Kathleen, the Presentation Sisters, Sr Anne Hetherington and Mercy partner representatives, Joan MacKay Chair of the Board and fellow directors and the College leadership Team. We are pleased to welcome you to St Rita’s College on this momentous occasion. There are common themes that run through the stories of this College’s history. They include a depth of faith, and commitment to Christ’s message of love. We see it in the story of our founder, Nano Nagle. We are all familiar with it. Her growing awareness of the social injustice of her time led her to establish those very first hedge schools for girls where she fostered the learning of students from poor Irish background and in so doing, defied the civil authority of the time. Nano had a deep commitment to social justice and a deep faith in the sanctity of all. This inspired her vision of establishing schools where girls from all walks of life could be empowered through education. Part of our love of this story of our Founder, I’m sure, comes from that Australian penchant of ours to admire anyone who stands up for the disenfranchised and wins through against the odds. And the odds were stacked against Nano in those early years. In fact, she had much cause to doubt that her vision would be fulfilled, given the great many obstacles she encountered. On her death the number of nuns in her fledgling Presentation Order had fallen to just three. 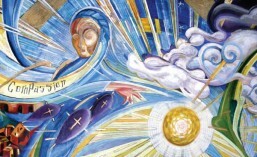 However, because of the trust she had in God and the belief in her work, many women did come to join the Order and it eventually flourished, not only in Cork but in many parts of the world, as her missionaries set sail in small numbers to carry on, in lands far and wide, what she had established in Cork. And so, Nano’s legacy of faith, courage and commitment to her work was passed on down the years and came to our part of the world in 1926 when St Rita’s College was established. The property on which we now stand became available for purchase in this year and, not really knowing how they would manage to pay the asking price of £22,000, those early Sisters discerned that it was the correct thing to do. It was through much hard work and commitment to their calling that the school did survive and has developed into the College of today. When deciding what name to give the College, perhaps the Sisters revealed a snippet of dry Irish humour when they chose St Rita’s as the name, for St Rita is known as the patron saint of impossible causes. The challenges experienced by the Presentation Sisters in those early years when they took on this large debt to purchase Stanley Hall with little means of paying, must have appeared as an impossible cause. But, of course, through God’s grace, and the exceptional hard work of the Sisters over many years, and, no doubt, through the intercession of St Rita herself, our College has flourished since. The preparation of students to participate fully and responsibly in society. Today marks another major milestone in the history of this College for, as you already know, the Sisters have put in place a new way forward for St Rita’s College. The College will now fall under the canonical sponsorship of the PJP, Mercy Partners, and so ensure we are able to continue offering Catholic Education in the Presentation tradition well into the future. I would like to take this opportunity to assure the Presentation Order who hold the position of Steward with Mercy Partners that we, as a College of mostly lay people, will continue to take up the challenge of making Jesus real in our world today. Our inspiration for all that we do will always be taken from the strong legacy left to us by the Sisters over many years and we will continue to aim to proclaim the Gospel to all in our community. The values of Mercy partners align very well with the Presentation pillars of Compassion, Simplicity, and Hospitality. This new chapter in our history requires the courage and optimism of the past to be reflected in our new structure. On behalf of the parents, students and staff of the College I would like to sincerely thank the Sisters for their legacy and assure Mercy Partners that we are ready to join this new organisation as full partners in living the mission of the Church. Below are some photographs from the evening taken by former College Principal, Sr Elvera Sesta pbvm. The final instalment in the Early History of St Rita’s College, Clayfield, compiled by Sr Elvera Sesta PBVM. Click the link below to read or download. Early History St Rita’s Part 2 – who was St Rita? 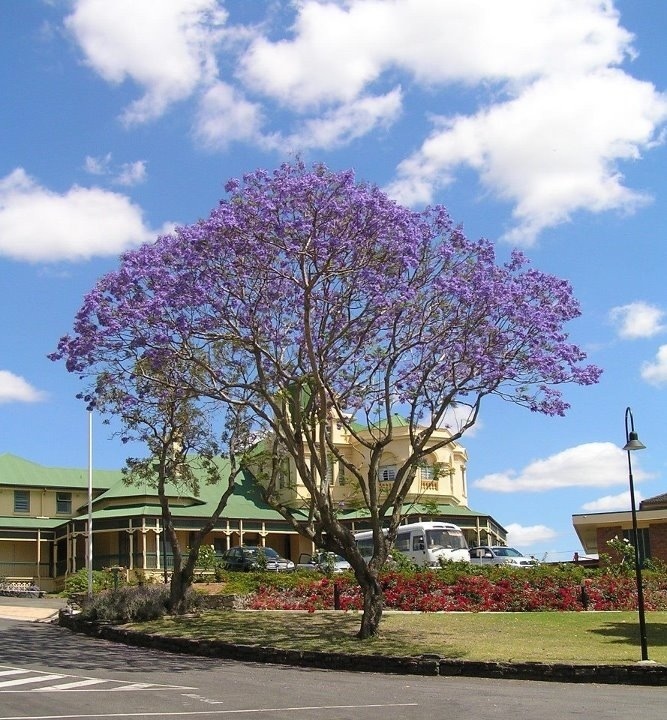 The continuation of the Early History of St Rita’s College, Clayfield, compiled by Sr Elvera Sesta PBVM. Click the link below to view or download. Sr Elvera Sesta, PBVM, former Principal of the College, has compiled a document tracing the history and religious foundations of the College. This post is the second in a serialised edition of the document. This second post introduces us to St Rita of Cascia, after whom the College is named. It features information from her personal life that helps to explain why she remains an example to those of us in the College community. Please follow the link below to open the document (pdf format). Sr Elvera Sesta, PBVM, former Principal of the College, has compiled a document tracing the history and religious foundations of the College. This post is the first in a serialised edition of the document. To coincide with the refurbishment of Stanley Hall, the original premises bought by the Sisters of the Presentation of the Blessed Virgin Mary in 1926, this first part focuses on the early owners and builders of the site.